Flood insurance is more affordable than you may think!! Flood Insurance - Quote and Buy a Policy Instantly Online - LA, FL, TX, AK, TN, MS, NY, NJ, IL, KT, AL, IO, MO, GA.
At Direct Flood Insurance Agency, we are committed to helping you protect your most valued assets by providing superior customer service. As an independent agency, we work for you and with you. We can answer your questions. We help you determine your flood protection needs and search for companies that offer you the right insurance coverage at the right price. We specialize in flood insurance quotes and are licensed in Louisiana, Florida, Texas, and many more. East Coast or West. In the South or Middle America. Floods happen. At Direct Flood Insurance Agency, we focus 100 percent of our attention on insuring your assets against flooding. What sets us apart is that you can get a quote and purchase a preferred risk flood insurance policy immediately online. 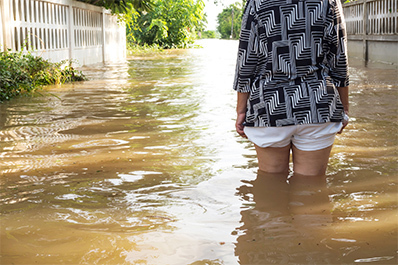 Learn about your risk for flooding and how you can benefit from flood insurance that insures your home against floods, which is excluded from most homeowners policies.